Christopher Vane Percy is the seventh generation of his family to live in this beautiful, early Georgian Classical house by the river in Cambridgeshire, although not through unbroken succession. In 1943, during World War II, the Percys were given just 48 hours’ notice to leave Island Hall, when the house was requisitioned for the RAF. By 1958, the local council owned the property, and converted it into 15 tiny flats under the Emergency Housing Act. Discover how Christopher rediscovered his family home and how he restored it. Find inspiration for your own renovation project with more of our stunning real home transformations and if you love Georgian homes take a look through 10 of our favourite Georgian home renovations. It was in 1957 when Christopher accidentally stumbled across the ancestral home that he had never previously seen. ‘I was on a boating trip with friends, and we children made our way to a small town close to where we were moored. We spied an overgrown island on the River Ouse and, being huge fans of Enid Blyton, thought it would be a great adventure to swim across to it and explore,’ Christopher recalls. During the renovation years, Christopher repaired all of the damaged Georgian panelling and replaced the original fire-damaged staircase. Fireplaces were painstakingly restored by French polishers and original Georgian wall colours were discovered under thick layers of lining paper. Christopher, an interior designer with a wealth of experience working on country houses, took an equally measured approach to the furnishing of his home, adding the furniture he had collected since he was a teenager. After spending half a lifetime restoring his old ancestral home and taking inspiration from the past, Christopher now has a firm eye on the future. ‘At some point, Linda and I will move into the mews house in the garden and our children will take over the running of this property. A house like this can be expensive to run, and so we host weddings, as well as opening to the public, to generate an income. This house has absorbed so many generations over the centuries and it loves being filled with people. 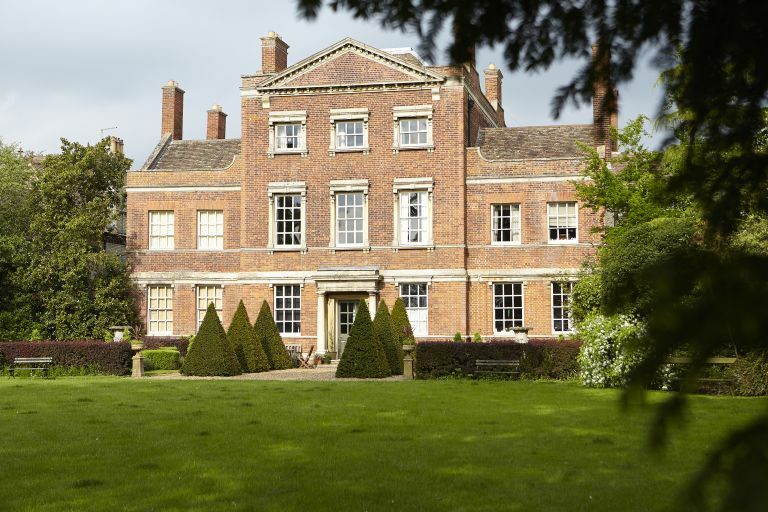 ‘Island Hall has been a good schoolmaster to me,’ he adds, ‘and I believe it is true when they say that behind every property conservation there is a worried owner! I think it is important to understand that when you work with a house, it has to be a partnership. You need to consider what the house wants.